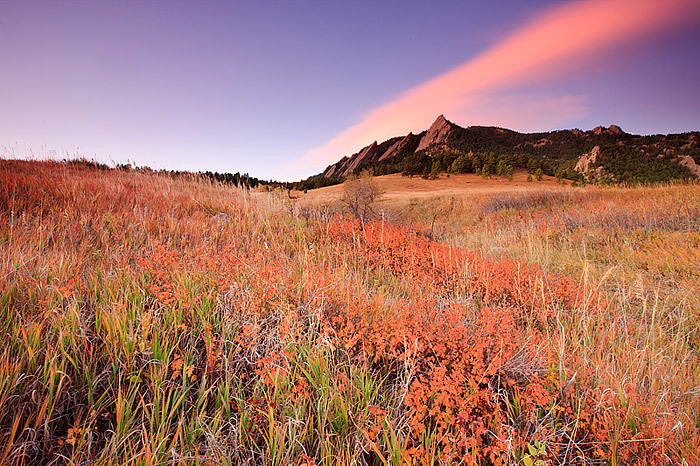 The grasses and trees below Boulder's Flatirons display golden brown and red colors of Autumn. The Flatirons are located in Boulder, Colorado's Chautauqua park and are popular for hiking and outdoor activities all year long. Photo © copyright by Thomas Mangan.